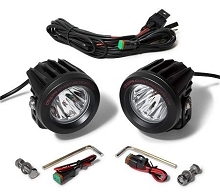 This powerful LED Headlight Bulb kit includes two custom 10th Generation 4.8 4800 Lumen Cyclops bulbs that fit and work great in the R1200GS, GSA with the factory Halogen headlight through 2015 Outshine the factory BMW LED headlight by a large margin.
. Get vastly improved night time riding performance as well as daytime conspicuity out of your stock BMW headlight housing. No canbus issues or codes. 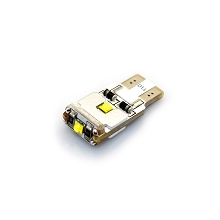 Features Cree LED emitters for long life and the best beam patterns in the industry. No mods to the factory caps required. Everything fits inside your factory headlight. I was lucky enough to catch the Cyclops guys at the 2016 Overland rally in Mormon lake Az several weeks ago. After talking with greg and daryl for a while I decided to give the Gs led bulb kit a try. It was nice to see the day time differnce in terms of conspicuity, but it wasn't until a few weeks latter that I really was able to appreciate the performance difference in light output. These LED bulbs are the single biggest bang for the buck difference a product has made to my GSA. They truly are worth the hype. I took the plunge after reading the reviews, and am glad I did. In contrast to the many "cheap and cheerful" options out there, this product looks to be of really good quality. The instructions are clear and well written, everything fits as it should with zero modification (2008 GS 1200), and the light output is a fantastic improvement. To cap it all, I received excellent support from Sandra and Darryl. To Whom It May Concern, Got the bulbs installed the other day and finally went for a night time ride last night. After some minor adjustments, HOLY HELL those lights are bright! And then flip on the high beam? I was considering some aftermarket driving lights to help, not anymore. Installations was a breeze too. I had to replace the rubber grommet under the light assembly as well and the whole operation took about 25 minutes start to finish (I cheated and watched the video first). Thanks for such a quality product Cyclops Adventure Sports. The best led bulbs I have installed, the difference with other LED bulbs is huge, the quality of the best I have seen, very easy to install and is not necessary to modify anything on the bike, the night has become day! Thank you! These LED upgrades are simply amazing!! Follow the instructions and they're very easy to install. 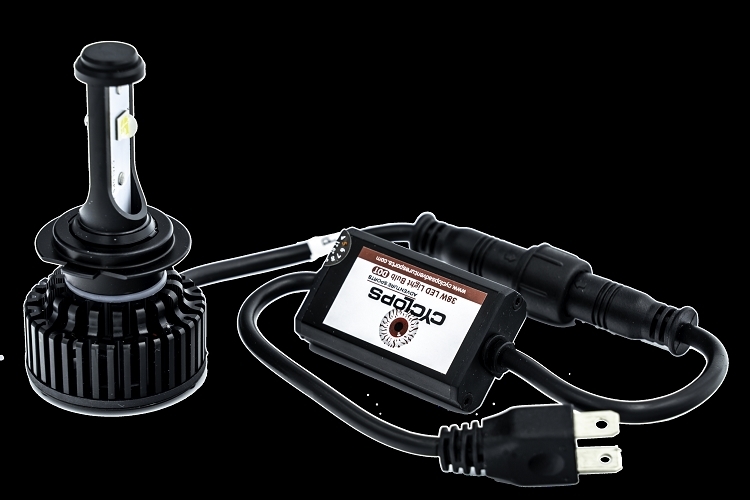 The sensational white light and clear brightness makes a miraculous difference which is un-comparable to standard bulbs. On top of that, the service this company provides is second to none. Get these - you won't be disappointed. It is a amazing product. I put it to my GS and it took only 10-15 minutes. Result is shocking, when i turned it on. Night become a day.. Unbelievable performance during a ride. Now i can see every part of the road and everbody can see me in the traffic. I disturbed only some low cars while i follow them close in the traffic but who cares, now they let me pass them. As a result, your light search ends here, i strongly recommend it to buy..